The ADE-60 is a highly-configurable mixing, signal and control voltage utility with options for 2x gain, attenuversion and CV/biasing allowing users to create configurations that suit their own requirements. Plugging a cable into any of the output sockets removes any of the previous signal inputs from the mix at the outputs that follow itallowing the mixer to be used in any combination from a standard,4-input/1-output summing mixer to 4 individual 1-input/1-output attenuators or stand-alone CV sources with additional options for,gain and attenuversion per channel. 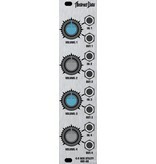 Used in conjunction with the gain and attenuversion settings the CV/biasing option can provide CV in the following ranges on any,and/or all outputs: 0-5V; 0-10V; +/-5V; +/-10V. 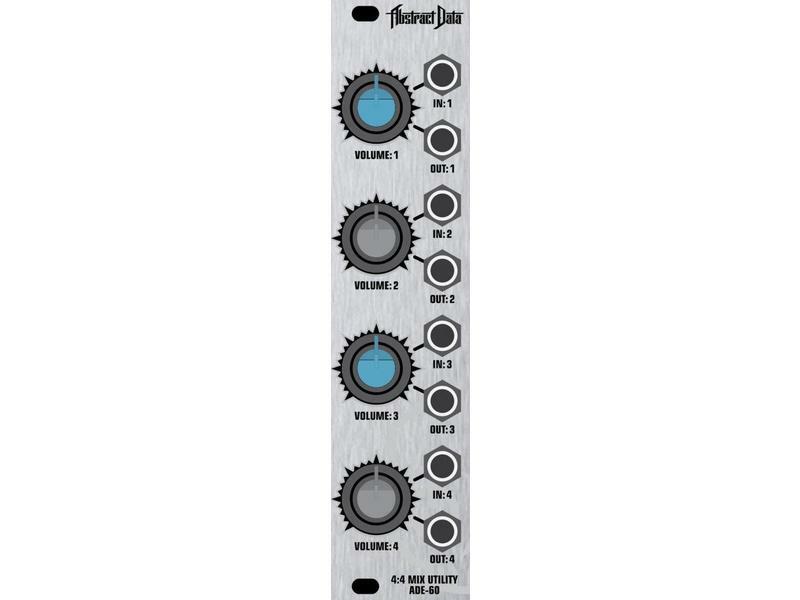 • Each channel gives options for 2x Gain, Attenuversion and CV/Biasing which can be configured via 3 rear panel connectors allowing users to create a configuration that suits their own requirements. • The mixer can be used in any combination from a standard 4-input/1-output summing mixer to 4 individual 1-input/1-output Attenuators or stand-alone CV sources. • Plugging a cable into any of the output sockets removes any of the previous signal inputs from the mix at the outputs that follow it.